FBI: Russia hacked DNC. 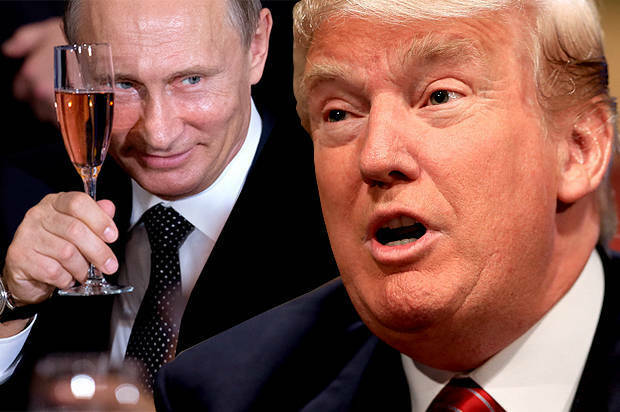 US officials: Electing Trump, crushing Clinton was Putin’s goal. Did Vladimir Putin order the Russian government to hack the Democratic National Committee, obtaining emails that Wikileaks has since released, to take down Hillary Clinton in the 2016 US Presidential elections? That’s the theory that emerged rapidly inside American intelligence and law enforcement agencies since the 20,000 leaked internal DNC emails spread throughout the internet, just before the beginning of the party’s convention in Philadelphia. Some of those emails revealed DNC staff’s efforts to sabotage Bernie Sanders’s campaign against Clinton. One discussed challenging his religious faith, or lack thereof. The revelations were seen as deeply embarrassing and damaging to the Dems, and on Sunday, DNC Chairwoman Debbie Wasserman Schultz said she would step down–but only after the convention has concluded. Current and former U.S. officials drew analogies to so-called “active measures campaigns,” or state-sponsored operations designed for political effects. The Beast did some solid reporting on this very interesting story. Two U.S. officials told their reporters that while yes, hacking is a crime which falls to the FBI, “trying to manipulate an election is not” a crime. This limits what FBI can investigate, the officials said.